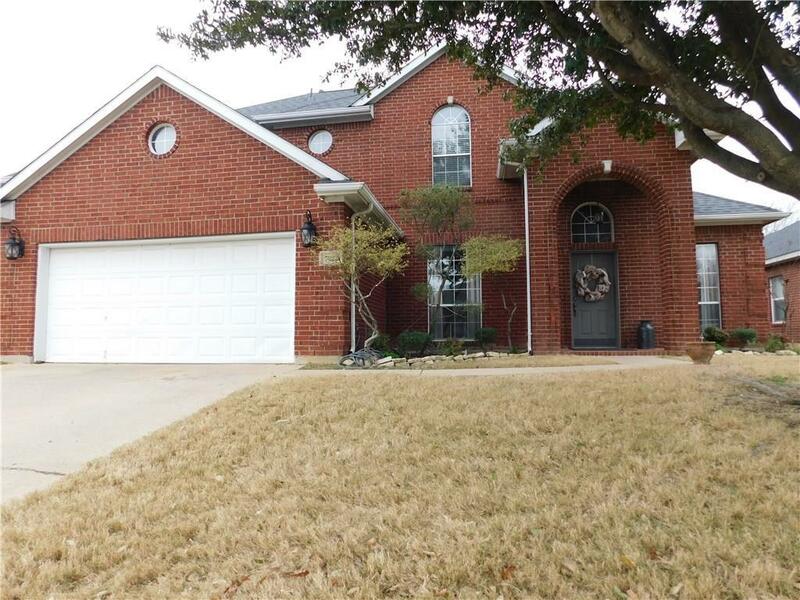 Wonderful, large home on street with NO THRU TRAFFIC in Mansfield ISD - Legacy High School - with distinguished entry way creating wonderful curb appeal! Two rooms at entry perfect for an office & second living area. 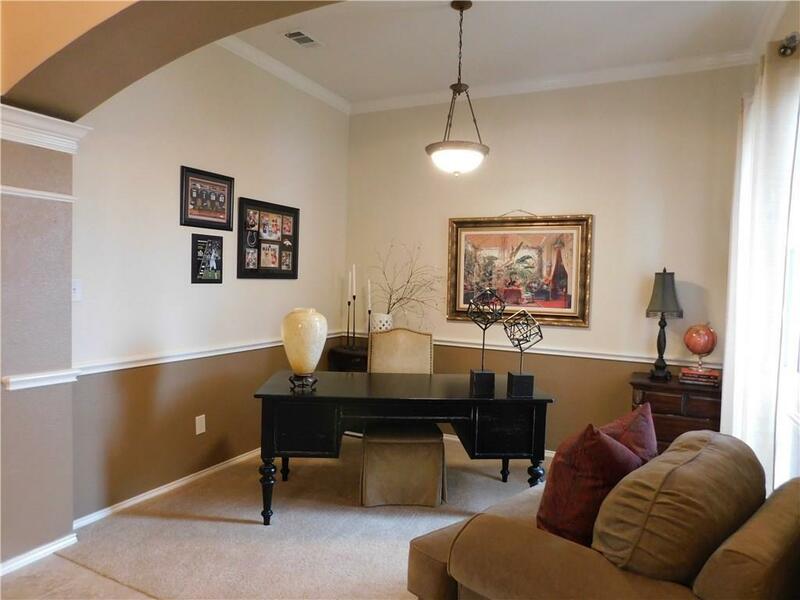 Living room boasts towering ceilings with an abundance of natural light, wood laminate floors, decorative fireplace & open concept to kitchen with its ornamental arches, stainless steel appliances, built-in microwave, tall 42in cabinets & quaint breakfast area. 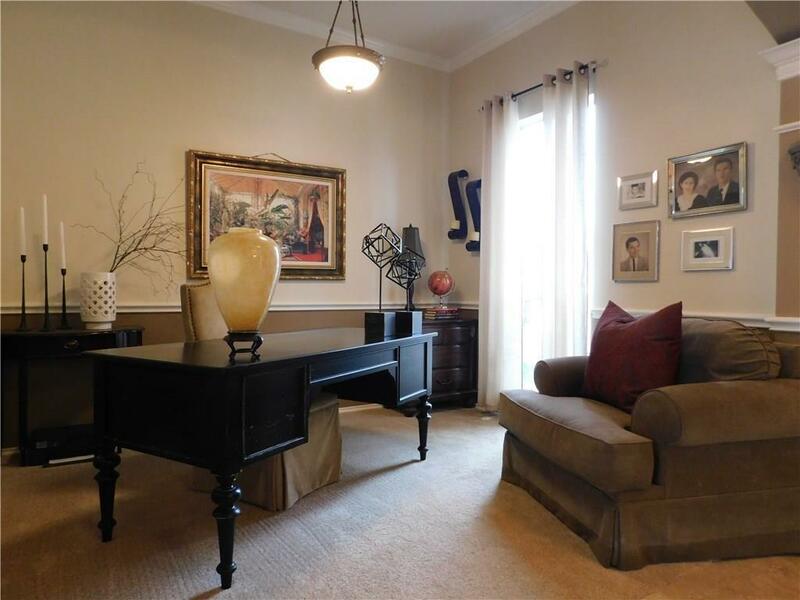 Large master bedroom downstairs & master bath includes dual sinks, separate tub & shower & large walk-in closet. Roomy backyard with open patio for entertaining. 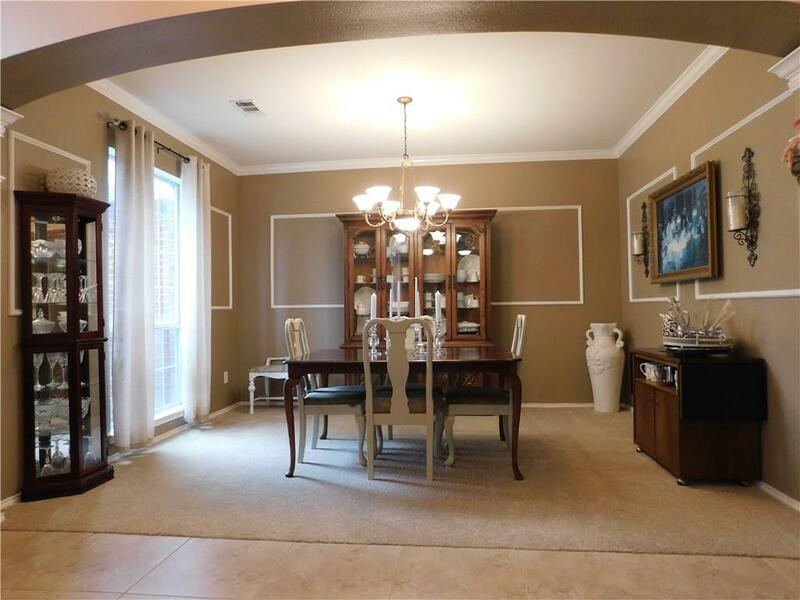 Close to numerous parks, shopping, & entertainment. New 30 yr roof 2 years ago! Offered by Wayne Barnes of Go Flat Fee.